Shabbat has always been Central to the Jewish People. Make Shabbat Central to your week. Make Shabbat at Central Synagogue. 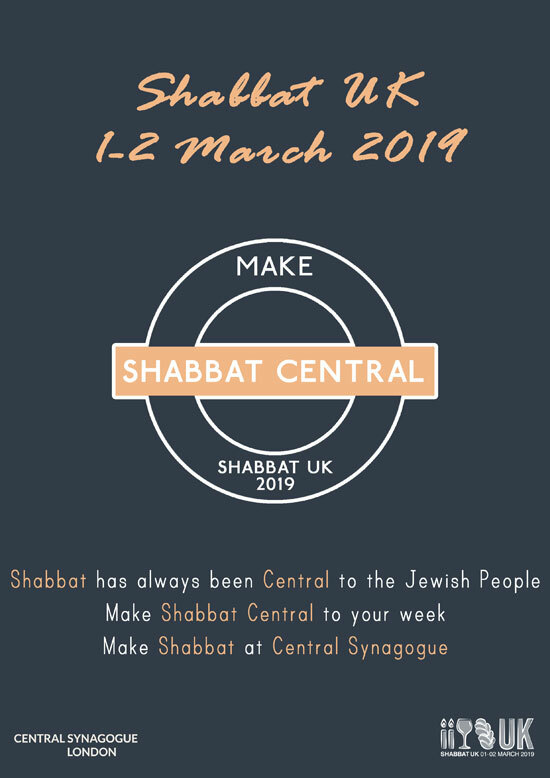 On 1st and 2nd March 2019, Jews around the UK will once again have a more meaningful Shabbat experience as part of the largest mass participation event organised for the Jewish Community in the UK. 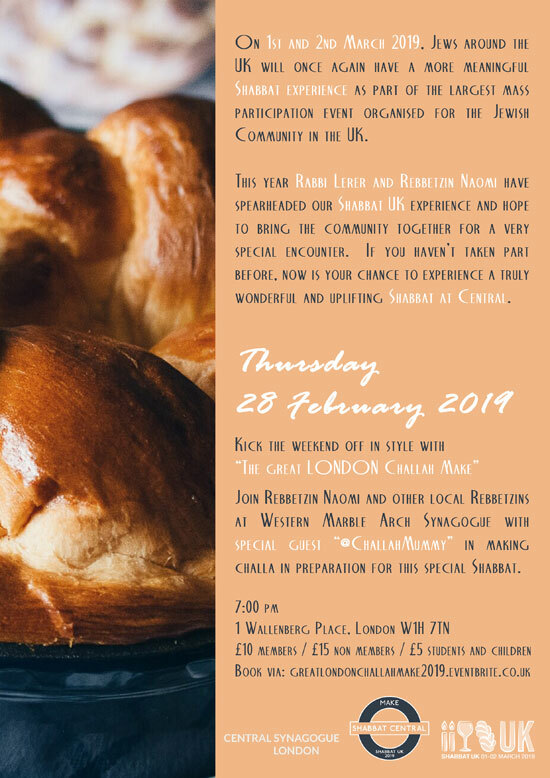 This year Rabbi Lerer and Rebbetzin Naomi have spearheaded our Shabbat UK experience and hope to bring the community together for a very special encounter. 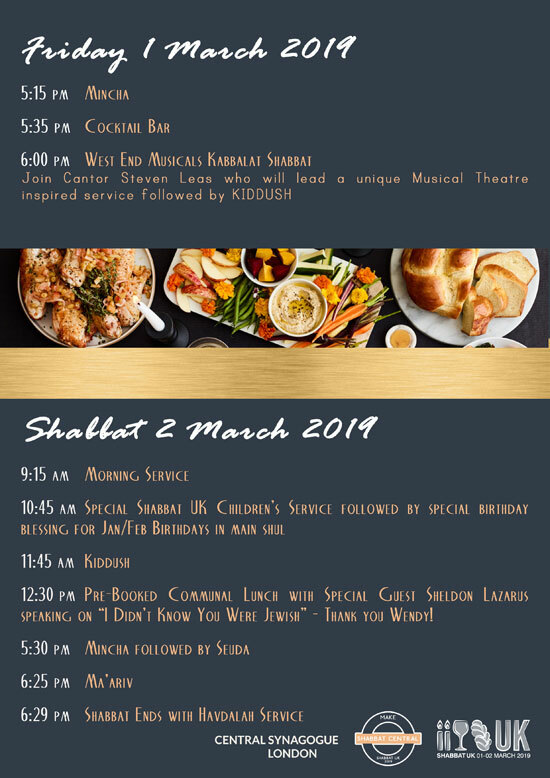 If you haven’t taken part before, now is your chance to experience a truly wonderful and uplifting Shabbat at Central. 12:30 pm Pre-Booked Communal Lunch with Special Guest Sheldon Lazarus speaking on “I Didn’t Know You Were Jewish” – Thank you Wendy!